Online tickets have now ended. A small number of tickets will be available on the door. 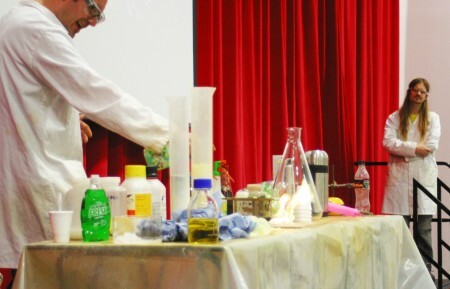 Midlothian chemists, Paul Murray and Robin Andrews, return with their vibrant show. Prepare yourself for bangs, colours, flames and foam in the jam-packed show. This event is free but ticketed. This event takes place in the Lasswade Community Hub.